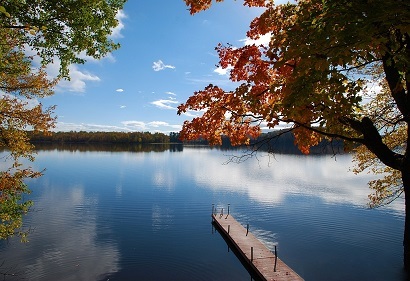 For some investors looking to get into Canada’s ritziest cottage country market, the expectation that resort condominiums might be the answer, may prove an illusion, according to one area Realtor. People need to do their due diligence when it comes to this type of properties, which some see as an alternative to the pricier recreational homes found on Muskoka’s Big Three lakes, says Aben. “You really need to work with a Realtor that knows the market where you want to buy,” he says. “I feel for those people in Toronto that have bought into certain resort communities and ending up losing money,” he adds. That’s not to say resort properties can’t be a good investment, the decision should just be done on a case-by-case basis, says Aben. One development that has many investors taking a look at the Muskoka region is the recent announcement that Skyline International’s CAD$500 million plans for Deerhurst Resort were given the go-ahead by city council. The master planned community and new Deerhurst Village Centre will include 150 new hotel rooms, 45,000 square feet of retail and plans for multiple boutique mixed-use buildings totalling nearly 500 residential units.